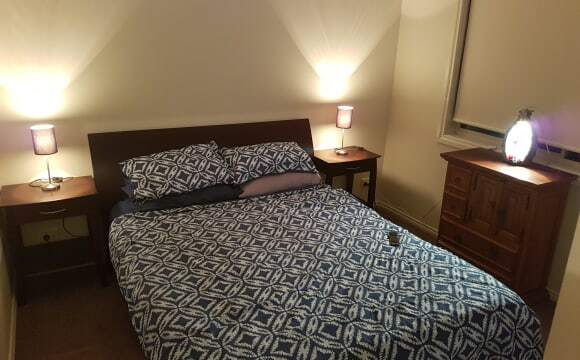 Furnished room, walking distance to Williams Landing Shopping Centre, Bus Stop and Train Station. Close to all amenities such as gym, take-out shops, restaurants, banks/post office medical centre, chemist etc. Direct access to freeway. Room fully furnished with a brand new mattress[still in plastic], you have your own bathroom and toilet and keyed lock to your door. NBN 80-100+mbps internet included in rent. There is a empty double garage which you can use or store your extra belongings. I have a PS4 with heaps of games and would love to have a 2nd player and more than happy for you to play whenever you want, along with the NBN comes included Netflix/Stan/Foxtel. Also all latest whitegoods and appliances and Evaporative Cooling and Ducted Heating throughout the house. 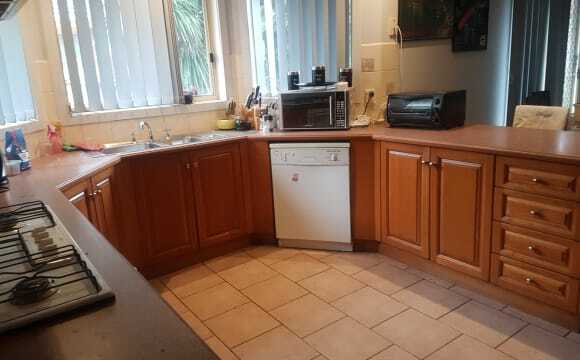 Secured with CCTV and an alarm system, the property is neat and tidy, with ducted heating and internet access. The bedroom is secured with a lock so you can enjoy more privacy. A fridge and freezer, a washing machine and a heat-pump clothes drier are available. There are one male and one female living in the two-storey house. You will share the shower room with another housemate. There are two toilet upstairs and another downstairs. All of us are neat, considerate and humorous and we often share snacks (e.g. chocolates and chips) with each other. Water rates, winter (July-September) gas bills are shared, but all other bills (internet and electricity bills) are included in the rent. Rules: No pets, smoking, drugs or binge-drinking. Clean up after yourself. No guests overnight. No access to others' food in the fridge or freezer without permission...Be respectful and considerate. beautiful and comfortable house locates in Center of Williams Landing. 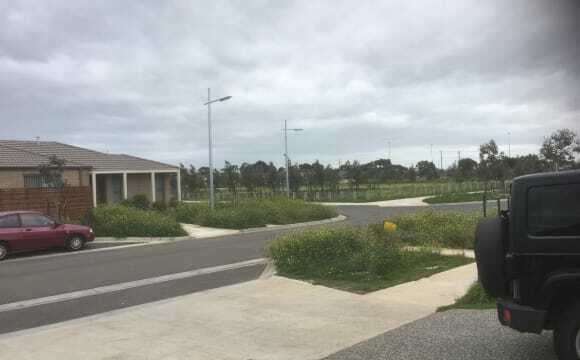 Surrounded by train station which take you to CBD or Geelong in only 25mins approx, thus has made this place suitable for Melb City workers and students study in west suburb. Working holidaiersrs will also benefit from exploring local culture and plenty cafe restaurant to feed your stomach as well feed your job. Room is big enough with plenty space to accomadate your personal belongings. Quiet yet with few romantic classical music flowing into the atmosphere. You are welcome to play this gorgeous YAMAHA in a leisure time. 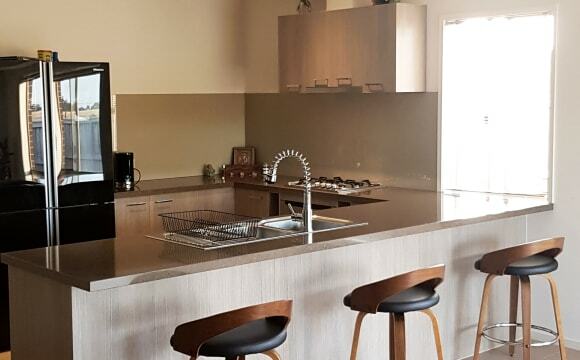 All furnitures and electrical appliance included which brings you a peace of ease before you moving in. Owner is a great chef and will be supportive to your stay. Thats pretty much everything for this particular house. With a little bit research you are doing about the reputation of suburb, you will not regreat to live here. 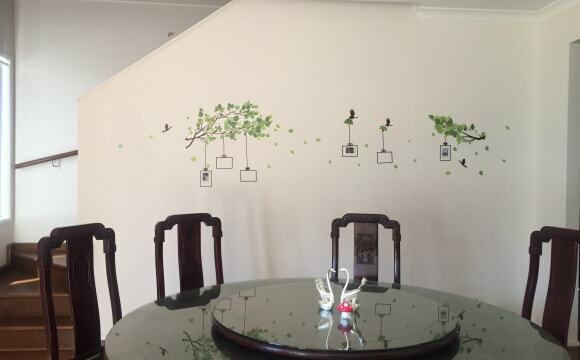 Features: - Common areas are fully furnished. - Rooms are spacious, includes built-in-wardrobes and furnished (queen size bed mattress and bed frame). Flexible with furnishings in bedroom if you have your own furniture. 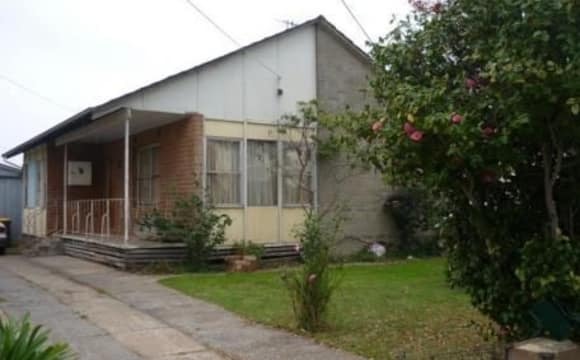 - Close to train station, local shops and restaurants. Two Rooms Available. The house is furnished but the room is not furnished. You will require a bed. Great location, Close to everything that you need and only 20min drive to the city. All bills included in the rent other than internet. 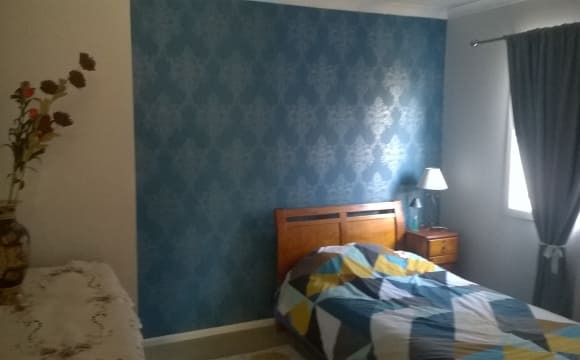 One (1) stunning bedroom with new beds in the 4-bedroom house locates on a quiet and safe street, with built-in wardrobe available at Alison street Truganina near Westbourne grammar. - One room for rent at $200 per week , including utilities; the bond is four-week’s rents at $800, electricity, water and gas included. -You have your own entrance to the house for more privacy , you can go in and out anytime you want without disturbing others. - Central control cooling and heating system -with security alarm system -CCTV camera sensor system inside and outside the house -digital door lock system -roller shutters and double garage with remote access. - Free FAST NBN Business type (100 mbps download speed) UNLIMITED internet is available. 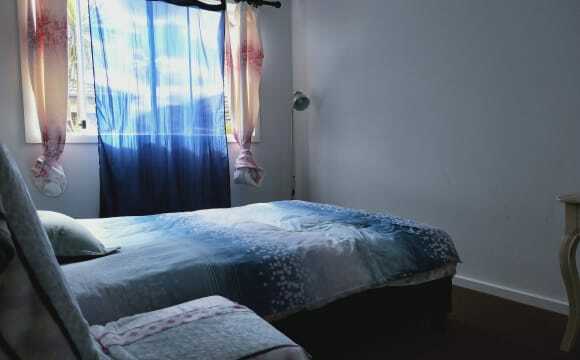 - The house is fully furnished including this room, or it is ready for you to move in with own furniture. - Very spacious living area ,with garden and BBQ area ,outside and inside new kitchen with gas and electric cooking adjoining very spacious lounge area. 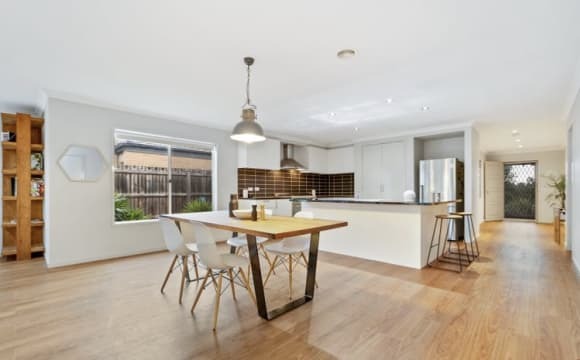 - Close to local schools, bus services, shops and only 5 mins driving to train station which takes you to Melbourne CBD in 20 mins. - Gorgeous garden with two big areas of veggie beds giving you the life styles you have been after. - own private access in the house to your room so you can go in and out to your room anytime - Separate dining area has joint of place to enjoy the dining time together. - Tenants have their own kitchen ,fridge and microwave -Not a party house - No pets please -Non smoker only -No kids please -We prefer STUDENT or WORKING PROFESSIONAL Please see to appreciate AVAILABLE NOW We respect privacy. We are a family of three,looking preferably working professional single house mate to rent out two furnished bedrooms with a shared ensuite bathroom. We are very easy going person who loves to laugh. We are sociable but also very considerate of people’s space. We are looking for reliable, CLEAN, courteous housemates. You have your own entrance to the house for more privacy , you can go in and out anytime you want without disturbing others. 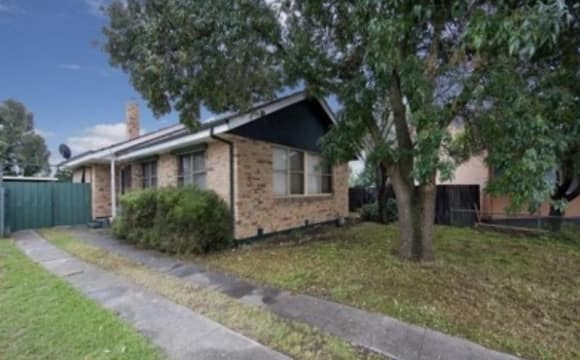 Brand new property including dishwasher, air conditioning, nbn. 5 mins drive to tarneit centre. 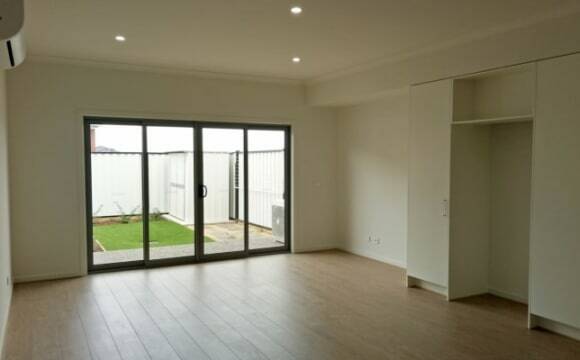 I have a room available in a Brand new Townhouse in the heart of Truganina within the Gateway Estate. 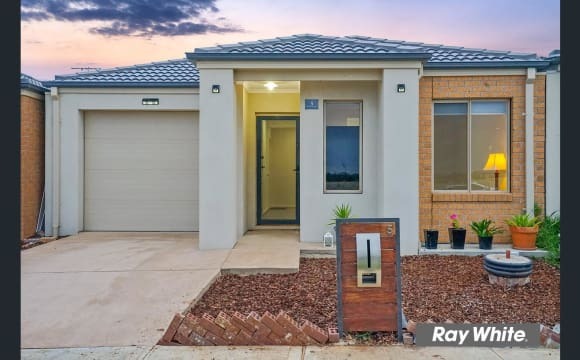 With only a short distance from schools ,childcare, medical centres &amp; parks, only 15kms from the CBD , close proximity to Williams Landing train station. This is a 3 bedroom 3 bathroom townhouse, with large open plan living. Williams landing train station 4km/ 8min drive approx. Melbourne airport 25km/30min drive approx. Willlliams lalanding shopping centre 4.5km/10min drive approx. Bus stop walking distance. You will have your own bathroom mostly and will only have to share if a visitor is over and the room comes with a double bed frame. Rent includes unlimited NBN and bills. 2.7km from Williams landing station which is 25mins away from city by train. Fully furnished house with good locality. Looking for 1-2 like minded Flatmates. Maximum 3 people in house.